Cerib possesses high-tech equipment for carrying out studies aimed at optimizing the manufacture and placement of concrete. 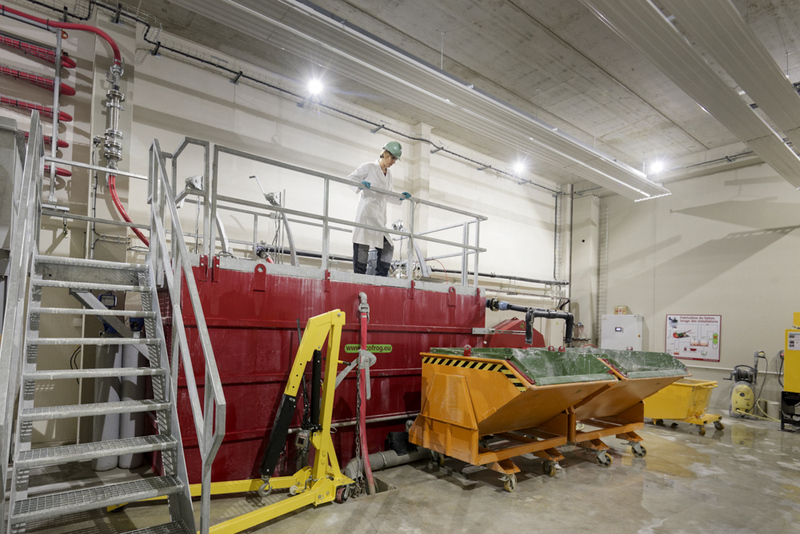 It includes equipment for producing large prototypes and mock-ups under conditions very close to those found on-site or in precasting plants. Concrete batching plant: equipped with a 300-litre conical mixer, a bulk-bag discharger and a bag-dump station for powders, a fibre and admixture metering system, and compartmentalized in-ground aggregate bins. Amongst other uses, this enables Cerib to develop new concrete mix designs, to produce life-size prototypes and mock-ups, and to provide training on operation of an automated concrete batching plant. Recycling station: for recycling aggregate and water from excess green concrete. It serves for the development of concretes using recycled materials. Pumping station: used for optimizing concrete mix designs, studying concrete conveyance, and for placing concrete in moulds. It is used to simulate industrial precasting plants and, by means of special instrumentation on the circuit (pressure sensor, flow meter, etc. ), to examine pumping issues. Vibrating press: used for dry-cast concrete products. 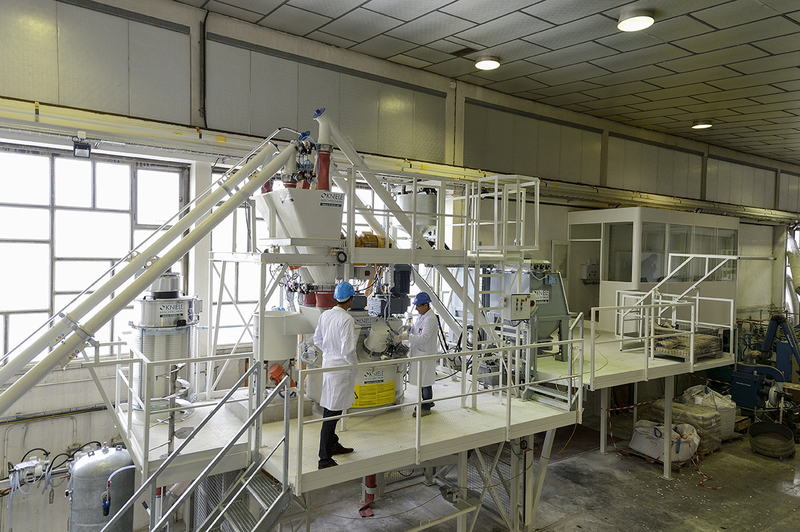 The latest-generation press reproduces conditions very close to found in precasting plants. It is used to train operators and for development of special concrete mixes or products. Vibration measurement and analysis systems: for analyzing the behaviour of vibrating tables and determining the causes of deficient vibration. Concrete sprayer: used for spraying concrete (wet or dry process). Large and small vibrating tables: for compacting concrete.